If you remember, I tried an experiment in propagating blueberries two weeks ago. 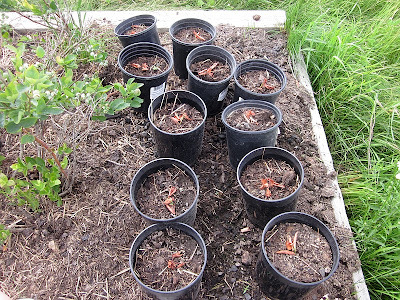 I took twenty-two cuttings, dipped them in rooting hormone, and planted them. I've been careful to keep them moist. So how are they doing? Well, I was disappointed. Every one of them promptly died. 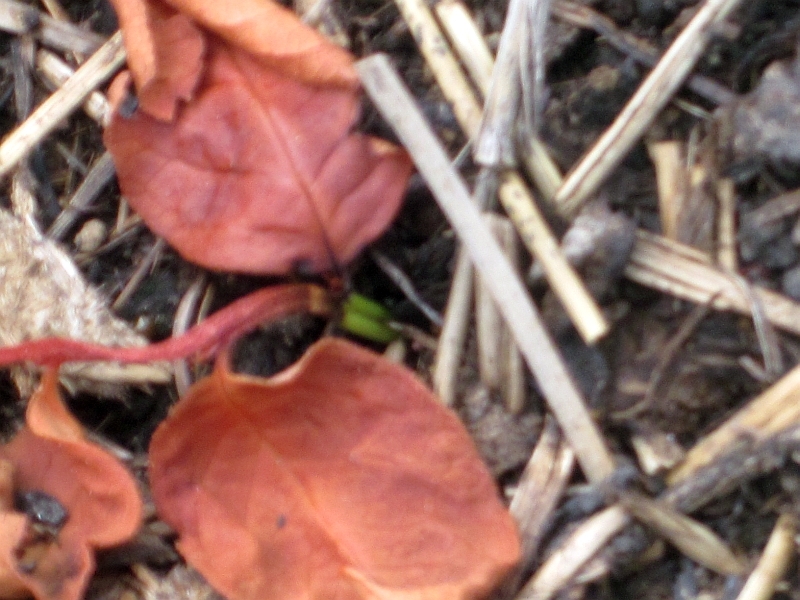 Upon closer inspection, it seems that, although every cutting has dead leaves, most have green stems. 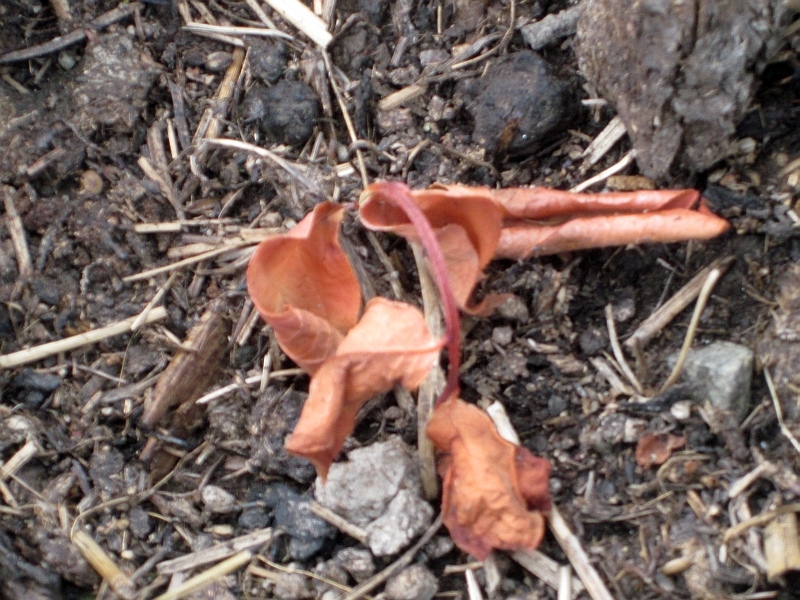 This means they're still alive and hopefully forming little roots. ...have a bit of green. And I say, where there's green, there's hope. A couple, on the other hand, were unquestionably dead. Still, I'm optimistic. I'll continue to keep them moist and see what happens. Meanwhile -- to all you green-thumb types out there, give me some guidance -- should I remove the dead brown leaves from the stems that show green, or should I leave them alone? 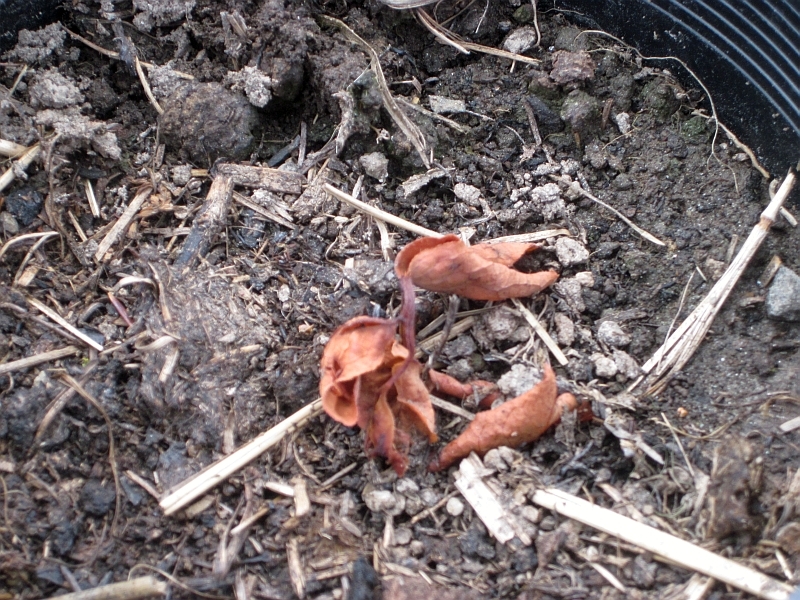 I'm pleased to report, however, that my recovering blueberry bushes are doing splendiforously. These are from the twenty berry bushes I had inadvertently planted in about the worst weed-infested spot on our property back in 2004. I fought those weeds for years and finally gave up in despair. Last year when we built the berry beds, I wondered if any bushes were salvageable, and to my amazement I found sixteen were still alive (barely). So I transplanted them into the new beds and promised the poor little things that I'd make it up to them for all those years of neglect. They're repaying me this year with beautiful and abundant berries which should be ripe within a couple of weeks. These are some happy blueberry bushes! I have a pair of Robins that nest in my barn every year and each year they have two rounds of babies. Well, this morning, Mr. Robin ticked me off! I had about 2 dozen almost ripe blueberries on one of my young Duke plants and I caught him stealing the last couple from it. I scolded him and told him that I will share my barn, straw and horse hair for their nests, but keep their beaks off my fruit! Needless to say, it was off to Home Depot today to buy bird netting as I had used the last I had on my new strawberry bed earlier. I hope I do not have to try to cover my raspberries too. I only have 10 blueberry plants (4 varieties)so far. I would like more and have 4 pots that I am trying the propagation thing in too. They are from a 4 year old Patriot that some creature ate the roots off of this spring. GRRRR. Good luck with your propagation adventure, too. My blueberries have 2x4 welded wire cages around them so I hope that I can just drape the bird netting over each cage. Did you make sure each cutting had a node under the soil surface? I'll wager you'll see roots in a couple weeks forming off the node in the water. 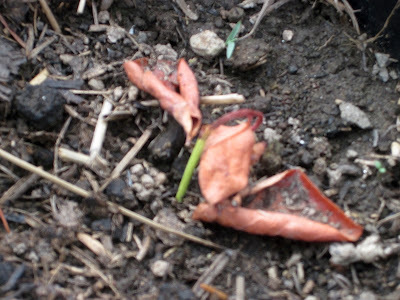 I would leave the leaves on for now, just so you disturb the plants and their fragile root systems as little as possible. I'm not much of a plant person, but, I'd leave the leaves alone. Just let them do their thing un-disturbed. 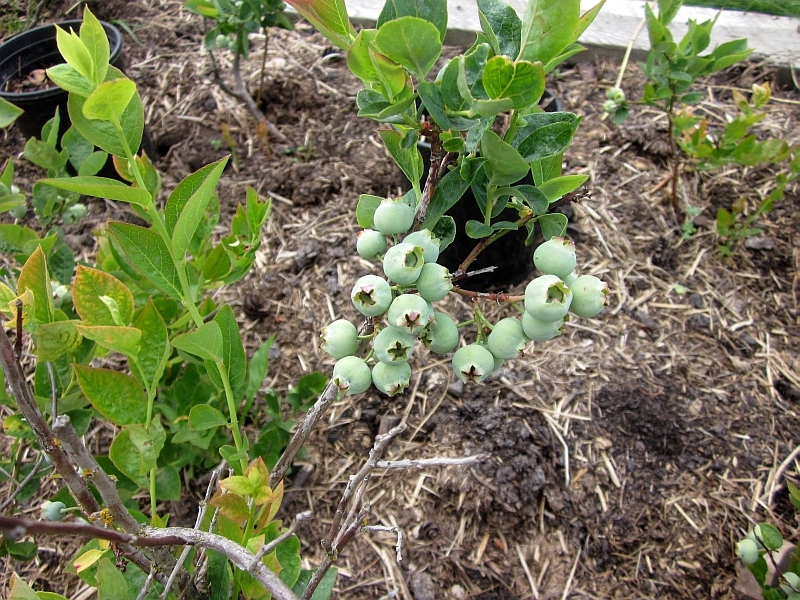 when pruning your blueberry bushes, cut off only dead branches. 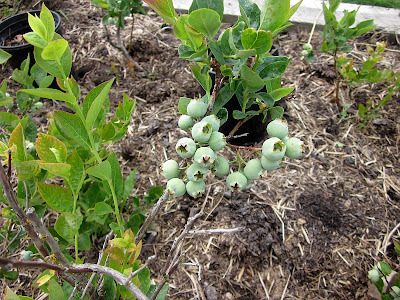 in the spring when your blueberry bushes are flowering take a lower branch and bend it to the ground cover a node with a little soil and pin to ground with a rock, brick, or a pin of some sort..this will start another bush. i do this all the time with my blueberry bushes, and my forsythia bushes and even my crepe myrtles...to form a hedge of sorts. As a green thumb that knows nothing specifically about blueberries, leave the leaves alone, just like nature would. The plants will push them off when they are ready. Keep moist & well watered with a weak solution of Miracid. 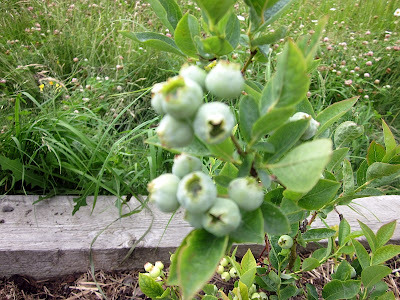 When I was a kid my Dad would go to some of the people who raised acres of blueberry bushes and get the green branches that had been pruned in the early spring. He would cut 6 or 8 inch chunks from these branches and plant them much as you have. He did not use pieces of branch that had leaves on them. Some died, but many lived and grew. This took longer than buying plants at a nursery, but it did not cost much. Leave the leaves alone they are shading the baby roots system. 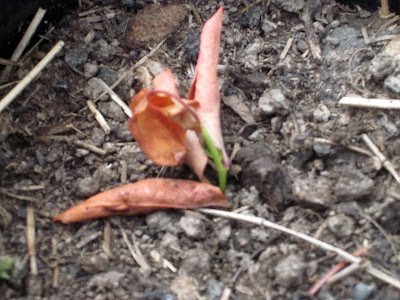 As long as you keep the soil moist they will pull through for you. If you have green then you are well on your way to bushes. Just a few years off producing though. Yet you can't beat the price. Congrats on the new bushes. I was hoping you would post an update on this! I am going to give it a try myself now, since it seems to be successful so far!